Kristin Mulders, Norwegian mezzo-soprano based in Copenhagen, started taking voice lessons at the age of 19 when studying music at Wartburg College, Iowa. She holds a mastersdegree in vocal performance from the Grieg Academy of Music in Bergen, Norway. She has given numerous recitals both in Norway and abroad, and is regularly doing solo-parts with choirs and orchestras. Her versatile repertoire includes lieder, opera and baroque music, as well as music from the renaissance and the modern classical cabaret genre, and she has done solo-parts in works like Bach’s Christmas Oratorio, Mass in B-minor and St.Johns Passion, Mozart and Duruflé Requiems, Verdis Requiem, Mendelssohns Elijah, Beethovens Symphony no.9, Händels Messiah, Schnittke Requiem, Charpentiers Te Deum and Messe de Minuit and Buxtehudes Membra Jesu Nostri. In opera she has sung the role of Annina in La Traviata, and understudied Cherubino in Mozart’s Le Nozze di Figaro, in addition to Mercedes in Carmen. At Copenhagen Operafestival 2012 she will sing Dido and Sorceress in Purcells Dido and Aeneas together with Concerto Copenhagen, led by Andrew Lawrence King. 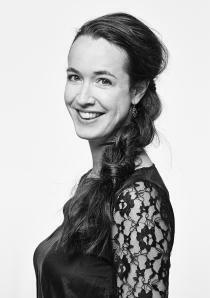 Mulders is touring for Concerts Norway (Rikskonsertene) with the performance "Sangerinden"(The Singer), as well as appearing as a soloist with the early music ensemble Currentes, with whom she will be performing at Bergen International Festival 2012 after releasing a CD with the same group.